“This is Rampart, go ahead, 51,” head nurse Dixie McCall answered back. 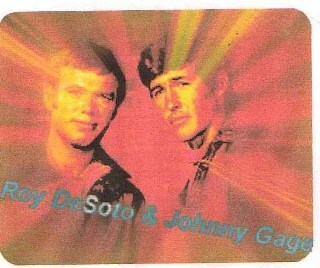 Roy DeSoto hung up the bio-phone and started an IV in Johnny’s left arm. The ambulance arrived soon enough. Since they were pretty far away from Rampart, Roy suggested the highway. He soon regretted the choice. There was traffic backing up a few miles. Now, it wasn’t bumper-to-bumper, but traffic is traffic. After what seemed like an eternity, the ambulance finally arrived at Rampart. Dr. Early and Dixie were waiting outside to meet them. Within seconds, Johnny was transported to the treatment room. Roy stood by his bed, as Dr. Early examined him. Although he tried to be gentle, there was a tender spot here and there. As he did so, Dixie was taking his vitals. When the x-ray machine came in, Dr. Early and Dixie took Roy with them for a cup of coffee. A few moments later, Dr. Brackett came in. He heard that Johnny has been admitted. Roy explained to them that when Johnny looked into a room, an explosion inside threw him back and down a twenty-foot staircase. At that moment, a nurse came in to tell the Doctors that the x-rays were finished and to give Dr. Early the fresh images. He went to the x-ray monitor, to see just what was wrong with Johnny, followed by Kel. Roy was about to follow, but Dixie stopped him. “Why don’t you finish your coffee first, Roy,” she handed him the cup. At first, Roy was reluctant, but agreed. As he sat down, he couldn’t help but mumble a little something to himself. Please, let Johnny be alright. Not so long after, Roy was told that he could see Johnny. His young partner was lying in the bed with an IV in his arm, and the heart monitor running. His eyes were closed and he was pale, but he did actually look better than when he was admitted. Roy sat by Johnny, and took a hold of his hand. He wanted to say something, but the words never came to mind. “Roy?” Dr. Brackett’s voice echoed from behind. Roy turned, and Dr. Early gestured to him to come to them. They showed him Johnny’s x-rays against the lighted monitor. “See, Roy, as I said, Johnny’s leg and ankle are broken, but so is his hip. The pain in his arm must’ve caused by a muscular reaction to the impact,” Dr. Early explained. Before the doctors could explain further, there was a faint, nearly inaudible, moan from across the room. Roy dashed to the side of the bed. “Johnny? Johnny, it’s Roy… can you hear me?” he whispered. Almost two hours later, Roy was still sitting in the waiting room. Finally, Drs. Brackett and Early came out of the elevator. Roy stood up immediately. “Johnny’s gonna be fine, Roy,” Joe informed. Roy breathed a sigh of relief. “Room 16, 3rd floor,” Kel blurted, before Roy could finish. “Thanks!” Roy dashed into the elevator as fast as he could. When he arrived in Johnny’s room, the young paramedic was resting peacefully. He was awake, yet his eyes were closed. Dixie was hooking up the IV unit. Roy sat down next to Johnny. Johnny opened his eyes and looked at Roy surprisingly. He hadn’t heard his partner come in. “Hi yourself, why do you always worry me so much?” Roy teased. Roy couldn’t help but laugh. After all, Johnny did always seem to get his adrenaline running. A few more moments of conversation, and Johnny fell asleep. Roy sat with him a few more moments, but left once he was confident that Johnny was alright. Little Jenny and Christopher walked up to their Uncle Johnny’s chair, and handed him a sloppily wrapped box wrapped with a green bow. “Merry Christmas, Uncle Johnny,” Jennifer gleamed. “Aw, thank you, sweetheart,” Johnny took the present and lifted the two children up to kiss them. “Well, open it!” Chris ordered with a grin. No matter how fast Johnny moved, he still wasn’t quick enough for those two. Finally, he opened the package, and couldn’t believe what was inside. A few years ago, the station, Rampart, and the DeSoto family had all taken a picture together with Johnny in the middle. Until now, the photo had hung in Dr. Brackett’s office, but they made a blown-up copy for Johnny to hang in his house. He loved the picture; it had him surrounded by all the people who he considered his family. “Okay, okay, don’t get all mushy now,” Chet complained. “Oh, shut up, Chet!” Roy and Johnny snapped back in unison. Everyone laughed. After a few more hours of just hanging out and having fun, most of the squad had to go home. They had their own family gatherings to go to the next day, and wanted to get a good night’s sleep. Chris and Jenny had nearly fallen asleep a few times, so Joanne decided to take them home. Roy wanted to stay with Johnny a little longer, so he was to drive home later. Half an hour later, Drs. Brackett and Early decided to go home too. Nearly midnight, it was just Roy, Dix, and Johnny. “Aw, Johnny, that’s so sad,” Dixie commented. When they got to room 16, there was a package sitting on Johnny’s bed. He picked it up, and looked for a tag. He found one, but it had no name as to who it was from. He opened it, and to his surprise, it was the sandy cowboy hat! “Oh my gosh! !” Johnny held the hat, staring at it with an opened mouth. Roy and Dixie looked at each other in shock. The trio looked so stunned at that hat, and then they heard something that would shock them even farther. Jingle bells! Jingle bells on top of the roof! They raced to the window, and saw some figure in the sky, but it was too hazy to make out for sure. “Nah!” the three said in unison. But, that night, Johnny couldn’t help but wonder… how? THANK YOU TO MY BEST FRIEND, SAMANTHA, FOR HELPING ME FINISH THIS STORY! !